Analysts: the US operator will stop selling ZTE mobile phone if they sell out stock. Consumer activists and technical experts advise consumers to postpone buying ZTE smartphones until the company clarifies whether the US government ban will prevent it from providing operating system updates to the equipment, foreign media reported. On Monday, the U. S. Department of Commerce issued an injunction requiring US companies to not sell hardware, software and other technologies to ZTE within 7 years because ZTE violated the terms of the previous settlement agreement. In response, ZTE suspended trading in the Chinese stock market and announced that it had postponed its quarterly earnings report. But it did not tell consumers whether the ban would affect the company's Android smartphone updates. As we all know, Android is an operating system from Google, an American company. Sources from two US mobile operators say ZTE has not yet told the companies whether it can continue to provide such updates that can repair security vulnerabilities, add new features, and improve battery life. ZTE did not respond to requests for comment, and Google declined to comment. Jamie Caunt (Jamie Court), President of Consumer Watchdog, a consumer advocacy group in Losangeles, appealed to ZTE, Google and operators to tell consumers what the ban would have on their ability to serve their smart phone users. "If they can't provide updates, they certainly shouldn't sell new phones," Cott said. At present, ZTE smartphones are sold in all the major operators and retailers in the United States, including AT&T, Sprint, Verizon, best buy and WAL-MART. Verizon and Sprint refused to comment. AT&T, best buy and WAL-MART did not respond to requests for comment. Some technical analysts advise consumers not to buy ZTE phones until they know they can be updated. "In the face of significant uncertainty, buying ZTE mobile phones is not a wise decision," said IDC John Jackson, a IDC consumer technology analysis. 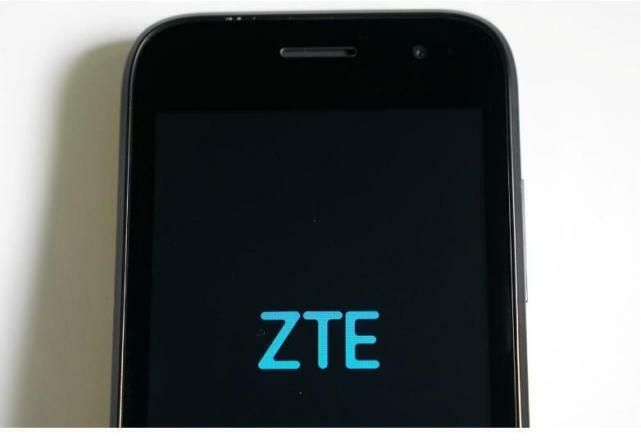 Roger Ant (Roger Entner), an analyst at Recon Analytics, said he expected us operators and retailers to sell out of the current ZTE cell stock and then stop selling the Chinese company's mobile phone. According to en, if the ZTE smartphone doesn't get the Android system updates, it can still run, but the user will not be able to get a new feature or install a patch. Some frustrated customers came to Reddit and ZTE website to ask questions such as warranty, repair and security patches, but they were not answered. "I want to know how long we have to wait to get the actual statement of ZTE. I wonder if they can find a way to overcome the impact of the ban at this stage, "a consumer wrote on ZTE's website. Michael Guest (Michael Geist), a Canadian privacy advocate, said ZTE and the US government should try to adjust the ban so as not to affect millions of people in ZTE mobile phone users, so they can't get security updates. "If the cell phone is vulnerable to attack, it will be consumers who will eventually pay the bill," Guest said.